RFID Sound Triggers with Raspberry Pi #piday #raspberrypi @Raspberry_Pi « Adafruit Industries – Makers, hackers, artists, designers and engineers! 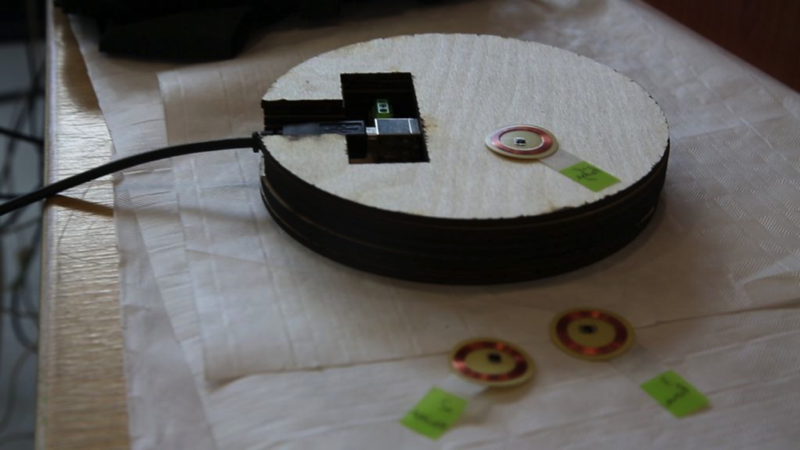 During the two day ‘hackathon’ style workshop at Makernow last week, part of the All Makers Now conference, I helped one of the groups realise their project that involved triggering sound samples when symbolic items were placed into the centre of the piece. 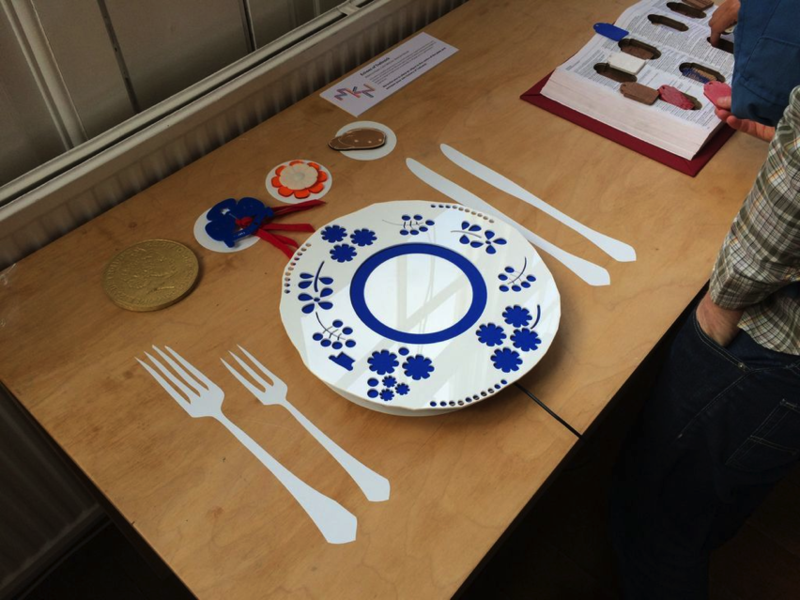 Due to the timescale, we had to use components and materials that we had available in the lab. As the project would be taken up to Trelissick House for the pop-up gallery exhibition, we needed small and unobtrusive hardware. We have a bunch of old PCs lying around, but they’re big and noisy and heavy – not ideal. An Arduino would be nice, but sound playback requires additional hardware and the tiny microprocessors aren’t really tasks like this. Enter the Raspberry Pi – a nice linux development environement we can begin hacking away on immediately in high level languages like Python or Node.js. It has a built-in soundcard that will be perfectly adequate for the job. And it fits in the palm of your hand. Perfect.